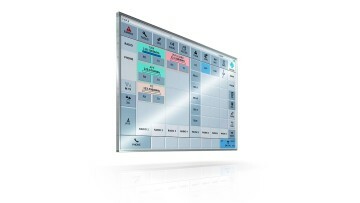 The fully IP-based and quad-redundant Rohde & Schwarz voice communications system R&S VCS-4G enables safe and efficient air traffic management. For air navigation service providers (ANSP) and airport operators, absolute system availability and reliability are crucial in flight operations. Rohde & Schwarz, one of the world's leading VCS and radio manufacturers and turnkey systems integrators, offers a cutting-edge, trusted portfolio of ATC connectivity solutions. In response to the global cyberthreat landscape, in particular with the increasing technology transformations towards IP networks, at WATMC 2019, Rohde & Schwarz will demonstrate how airport authorities can safeguard their IP infrastructure by adopting a threefold approach of detection, analysis and protection. Cutting-edge solutions such as strong encryption of leased lines, access protection using Rohde & Schwarz ATC session border control, and deep packet inspection with application whitelisting can easily be integrated into existing networks. R&S VCS-4G, a quad-redundant voice communications solution is fully IP based and enables best practice operational concepts such as virtual control centers where multiple locations are combined into a larger airspace. This unique technology ensures uninterrupted system availability even in case of earthquakes or power outages, which is why for example Airways New Zealand selected Rohde & Schwarz for the nationwide ATC voice communication system. In combination with the R&S Series4200 software defined radios, R&S VCS-4G systems enable safe and economical air traffic control (ATC). Detection of simultaneous transmissions (DSiT) prevents dangerous situations caused by misunderstandings between air traffic controllers and pilots. At WATMC 2019 in Madrid, Rohde & Schwarz will launch an ATC voice quality assurance system (R&S AQUA). The system gives air traffic service providers and airport operators full control over their voice service quality. Rohde & Schwarz will showcase the R&S DF-ATC-S air traffic direction finding solution, which highlights the location of incoming radio calls on the radar screen to increase safety and situational awareness. The system helps air traffic controllers instantly identify which aircraft is calling in order to avoid misunderstandings and call-sign confusion. The compact outdoor units have minimal infrastructure requirements and are scalable, simple to install and easy to integrate into existing ATM systems. Although terrestrial flight navigation transmitter systems have integrated monitoring functions, regular inspection and maintenance of these systems using independent measuring instruments is essential. Static analyses as well as dynamic measurements are among the tasks that must be performed by officials in charge of maintaining the systems. The R&S EVSG1000 is developed precisely for such applications. With its high accuracy and measurement speed, robust mechanical design and integrated battery, the analyzer is ideal for high-precision ILS, GBAS and VOR measurements in the field. Rohde & Schwarz has successfully delivered communications systems to over 200 airports and area control centers worldwide. The integrated turnkey solutions provider covers the entire ATC communications chain. Rohde & Schwarz will showcase its comprehensive portfolio of cutting-edge air traffic control solutions March 12 to 14, 2019, at World ATM Congress in Madrid, hall 10, booth 562.